Custom home building in the islands represents a unique challenge for even the most accomplished architects and contractors. Custom home buyers should take special care to select a Design-Build team with proven offshore construction experience, deep knowledge of the local market, and the construction logistics resources required to deliver the project on-schedule and on-budget. 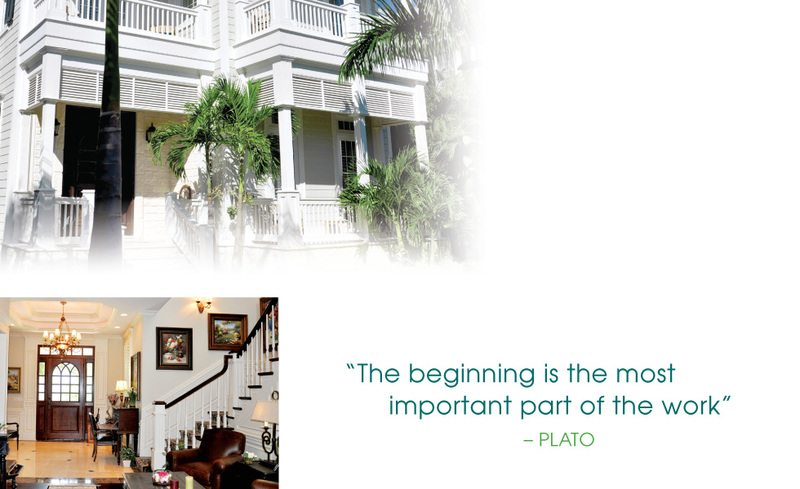 Clearwater Construction Company is the only "Vertically Integrated" custom home builder in The Bahamas. Our strategic partnership with CRH Oldcastle, Inc., the largest manufacturer of building materials in the world, gives us direct access to more than 125,000 exterior and interior building products from 2,000 manufacturing plants in North and South America. Each of our custom home projects is supported by Oldcastle ICL (Integrated Construction Logistics), the most advanced building products transportation, consolidation, export and offshore construction logistics operation in the Americas. No other custom builder in the islands has these capabilities.